Picture this: After downing a bowl of Akamaru Tamago ramen at IPPUDO, I still had room in my stomach for desserts. Yes, my good friends persuaded me to have some quality desserts while in Singapore and I just couldn’t resist. What better place to have the perfect dessert at an extremely perfect ambience at PS Cafe. Pardon the dark photos. PS Cafe is dimly-lit, and I truly enjoyed taking photos in the dark, where the shadows played over the subject and I can experiment with the small flaws to make it perfect. PS stands for “Project Shop” and it has four branches in Singapore: Ann Siang Hill, Paragon, Harding Road at Dempsey Hill and at Palais Renaissance Orchard, where we had our late night dessert. I only have one word for the place and it’s just sophisticated. I have 10/10 stars for the place’s brick and mortar. 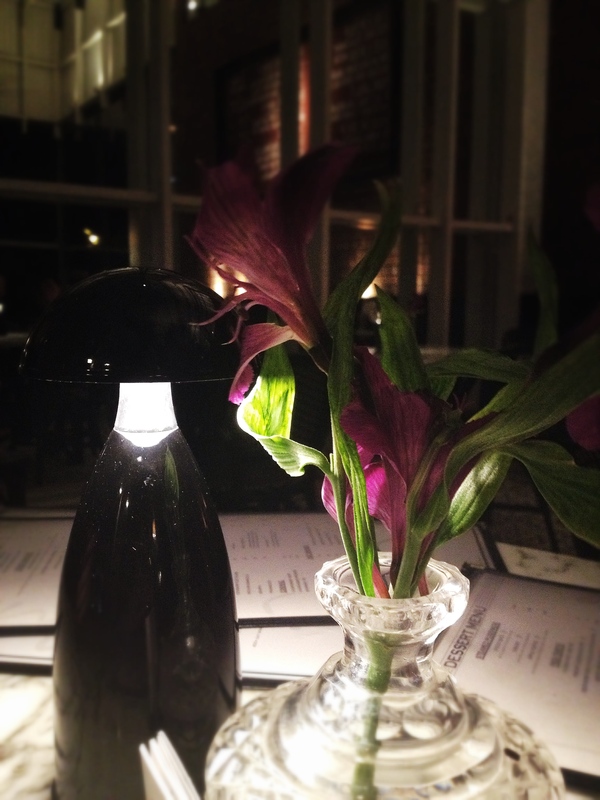 At night, the interiors are dreamy, black and marble. 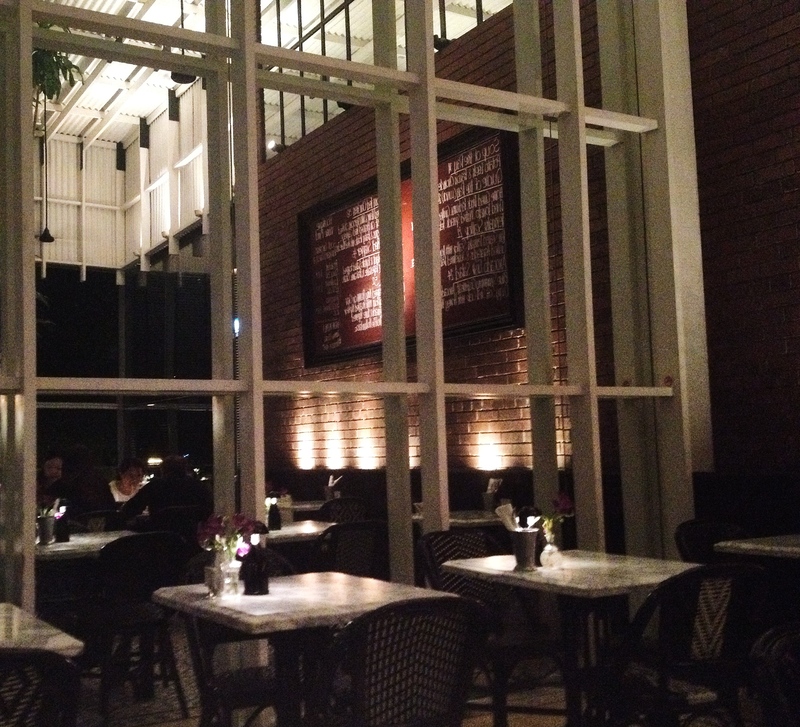 You can opt to dine at outdoors, where Singapore’s night can get windy and chilly during December and less humid. Perfection. It’s really the perfect place for having a romantic date, or an evening out with your friends. 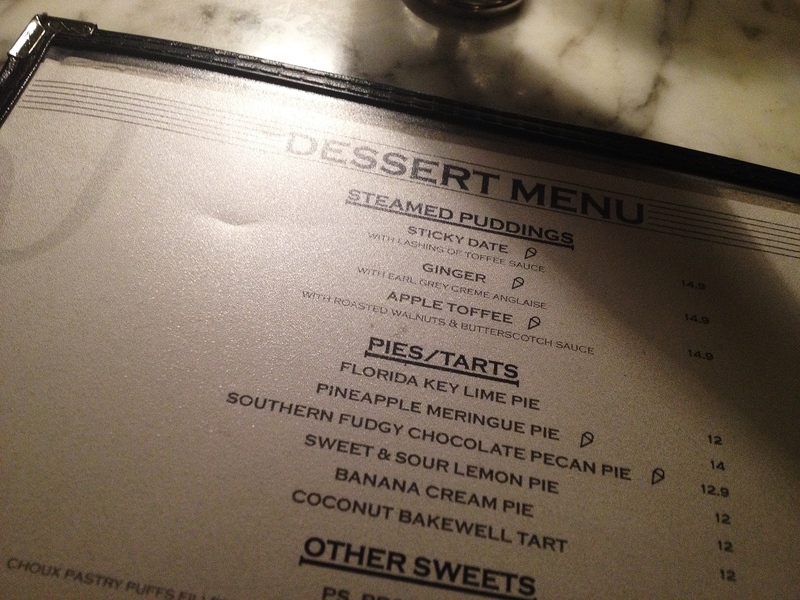 At PS Cafe, each person in every table is required to order at least one item, like a slice of cake. If you’re eating out with your friends, I suggest you order something different so you can share and have a taste of everything. And beware, their slice of cake is really, really, really, huge. 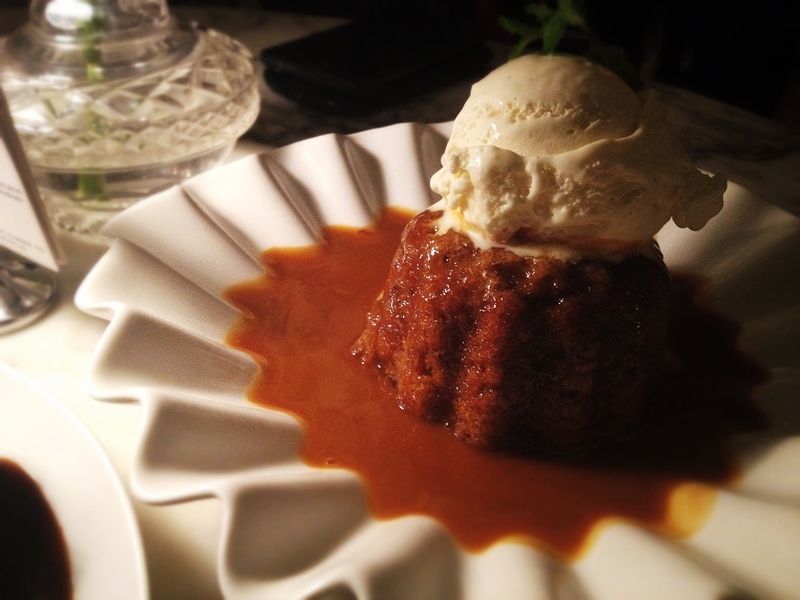 PS Cafe is known for their Sticky Date Pudding. This is really delicious – not too sweet and the butterscotch caramel syrup laced around it is a perfect compliment to the hot pudding. Topped with the vanilla ice cream and you have a hot and cold dessert. I like desserts this way, actually. PS Cafe’s Chocolate Nut Doorstep will have you sleeping at your front porch by dawn! Topped also with vanilla ice cream, the serving size is really large and the chocolate fudge is so thick, no wonder it’s called doorstep! 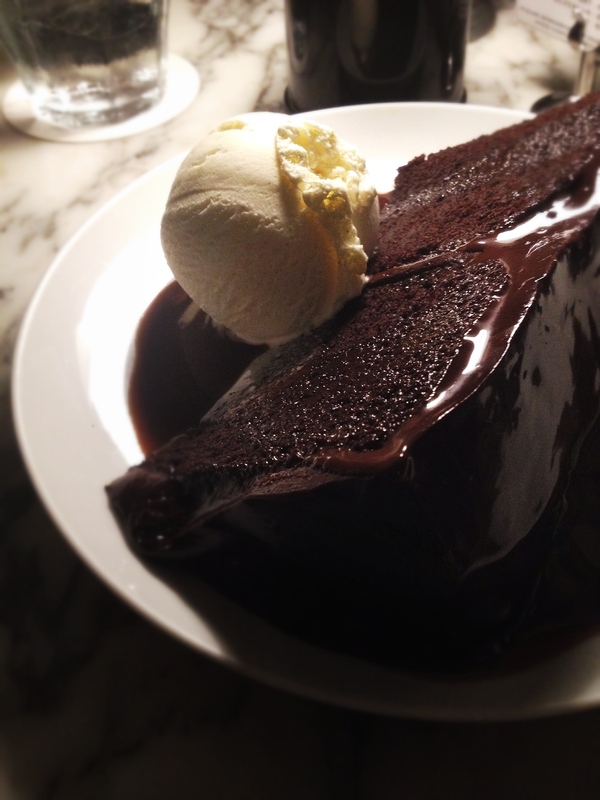 The chocolate cake is really rich in flavor and too sweet ~ I’ll take the Sticky Date Pudding over the Doorstep anytime. 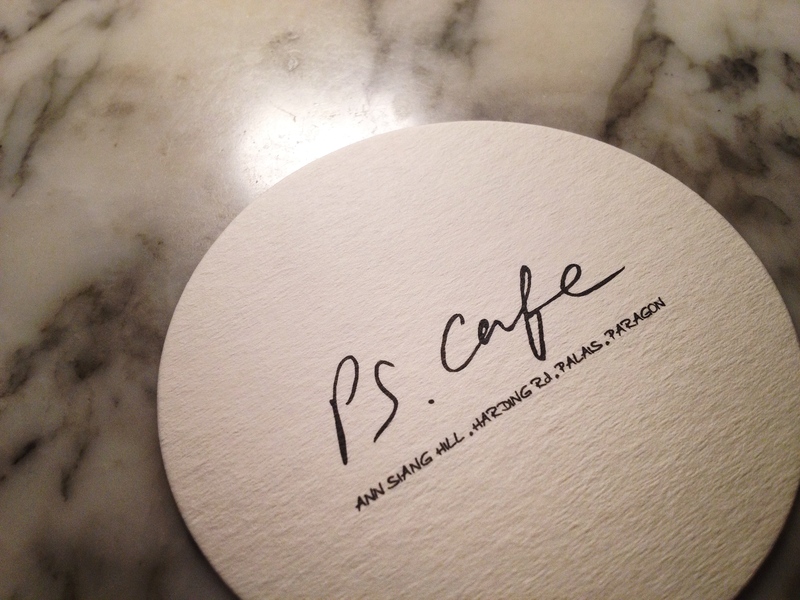 I’d be sure to return to PS Cafe soon when I visit Singapore again and try out their Truffle Fries or their bestselling Crab Tart with prawn bisque cream. 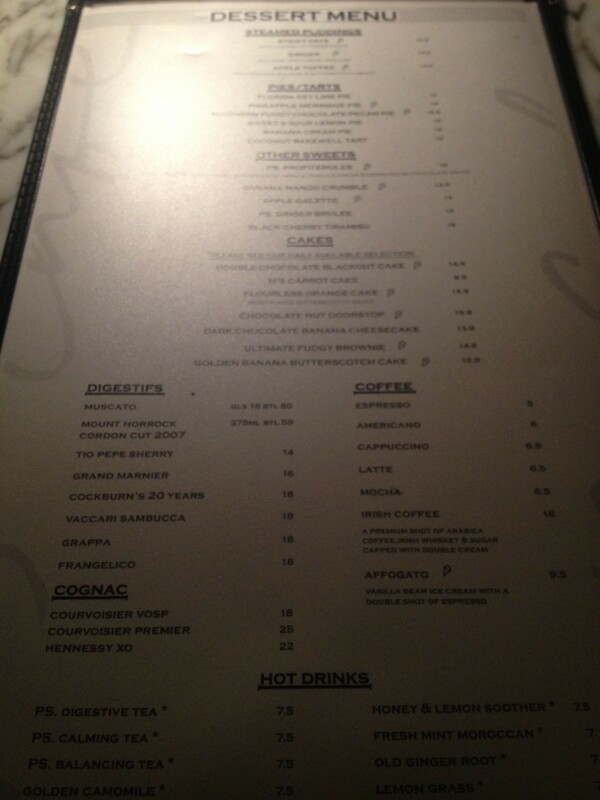 The prices in their menu aren’t really cheap and some of the items in their menu are quite common. So you’ll be paying for the entire experience of dining in their posh, luxurious ambience. I can just imagine it in the morning where the place has good lighting. It’s a beautiful place to have breakfast or brunch.